At a National Coordinating Unit meeting in July, the regional master trainer gave an orientation about Speak Out! Phase 2 to representatives from various stakeholders (the MoE, CAMFED, Child Fund, Faweza, REPSSI and ZOCS). Various members of the above group (i.e. 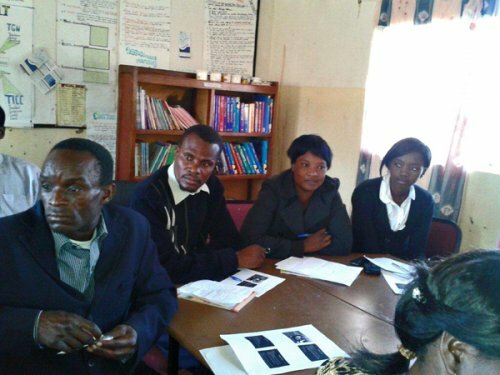 the MoE, CAMFED and REPSSI) then assisted the master trainer with the school-level training at the five schools, which was done on 17 and 18 July. The purpose of the training was to conduct a refresher session on Phase 1 and an orientation to Phase 2 with the teachers, members of the Parent Committees and community leaders of the schools, as well as stakeholders from other government departments and civil society. Attendance was good and included head teachers and Guidance and Counselling teachers. Pupil representatives from Mukamambo (the secondary school) also attended. Other participants included parents, traditional leaders and health personnel. Everyone appeared receptive, and said they looked forward to implementing Phase 2 of Speak Out! The commitment from NCU members has also been overwhelming.